So many highlights in 2018. 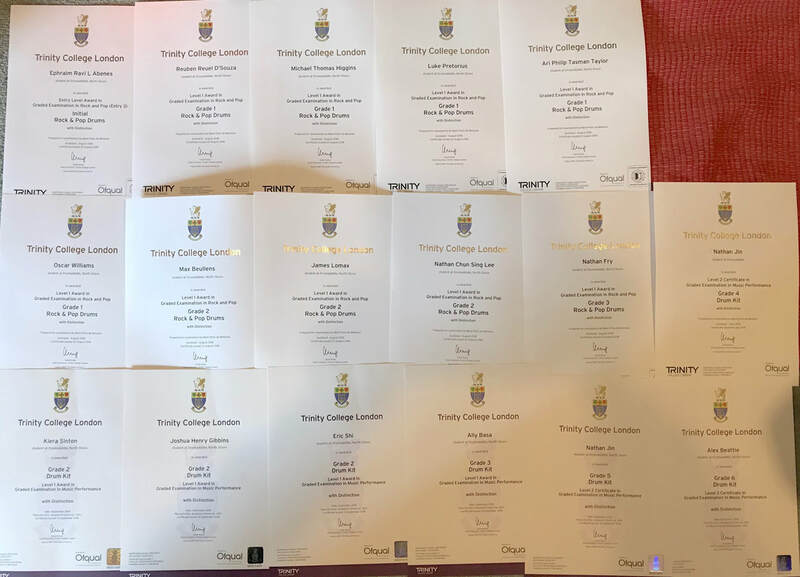 24 students get DISTINCTIONS/Excellences at TRINITY College, LONDON and NCEA Drum kit examinations, 10 year old Nate Carroll featured on TVNZ and Alex Beattie being awarded the AIMES 2018 Jr Scholarship worth $$$$. See the video of his performance with a 20 piece orchestra at the Awards Ceremony.